Best Autocentres service, maintain and MoT all makes of car and van. Our fixed price Major service of your vehicle includes replacement service items, i.e filters, plugs and oil, as per the manufacturers recommendation and specification. We recommend annual servicing with a Major service one year and a Medium service the following year. We also do a Minor interim top up service which is only recommended for very high mileage vehicles between annual services. As a reputable aftermarket service agent, Best Autocentres can service your car even in its first three years without affecting your warranty, and normally at a much lower cost. 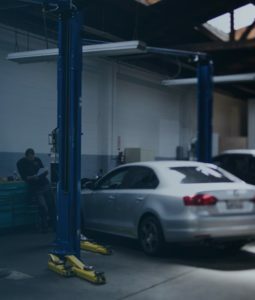 Service intervals do vary according to usage and manufacturer, but as a general rule, vehicles should be serviced every 12 months or 10,000 miles. Cambelts (timing belts) should be replaced at the manufacturer recommended mileage. Although this can be quite expensive, failure to replace the belt and tensioners could result in far more expensive damage to the engine. BEST Autocentres have some of the latest Hi-Tech Diagnostic Equipment at every centre. This allows us to diagnose faults registered within the on-board computer commonly known as the ECU. There is an additional charge for this service to cover the high cost of the equipment. Best Autocentres will discount the service if taken at the same time as an MOT.